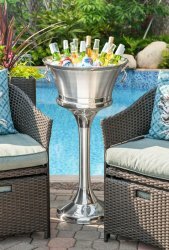 This is the perfect stainless steel beverage stand! 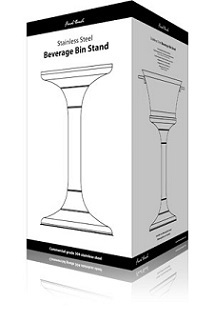 Designed to fit any 12" beverage bin, this stand is finished with an elegant mirrored finish. Ideal for saving room on your dining room table simply place your beverage bin on your stand, and don't worry about getting up from the table in order to refill your drink! Stand is made with a weighted base.